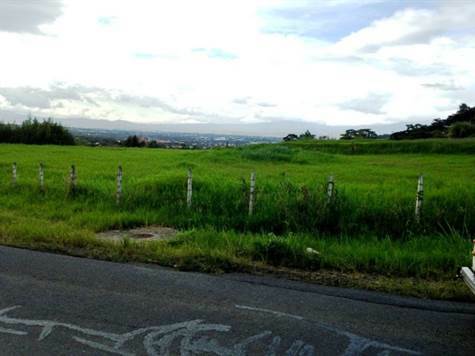 Investment opportunity in residential lot in Santa Ana Beautiful residential Lot for sale with two properties together which measure a total of 3,492 sqm in Santa Ana, it is low density that being in national main road and can be used as well, in commercial activity if desired. With excellent view of the vegetation and mountains of Escazu, definitely a place where the family and the environment grow together! The price of this lot is $250.00 per square meter. There is also the option of selling the lots separately, leaving the price to $300.00 per square meter. It is possible to finance up to 70% of the value at a rate of 10% annually. Also important to note, that the lot is located in one of the fastest growing areas with all the services and facilities available to its residents. Also, the exclusive gated community has spectacular views of the golf courses, has 24/7 security, Tennis courts and Golf, beautiful gardens and green areas.